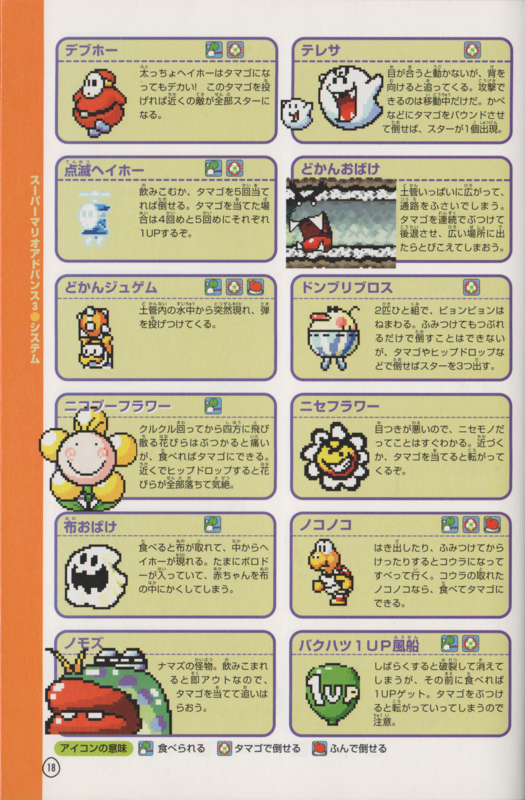 Whirly Fly Guys are a rare variety of Fly Guys found in the game Super Mario World 2: Yoshi's Island, its remake Yoshi's Island: Super Mario Advance 3, and Yoshi's New Island. They flash several different colors, distinguishing them from ordinary Fly Guys. They first stand on the ground, and when the Yoshi approaches it, it slowly takes off into the sky. The Yoshi can't stomp the Whirly Fly Guy. If a Yoshi swallows one, then spits it out, the Whirly Fly Guy turns into a green Shy Guy. They are much like normal Fly Guys at first, but when a Yoshi attempts to throw eggs at the Whirly Fly Guy, coins start to appear from the Whirly Fly Guy. When the Yoshi throws enough eggs at the Whirly Fly Guy, one or two extra lives are awarded to the Yoshi as the Whirly Fly Guy is defeated. Alternatively, shooting seeds from eating a watermelon is effective as well. 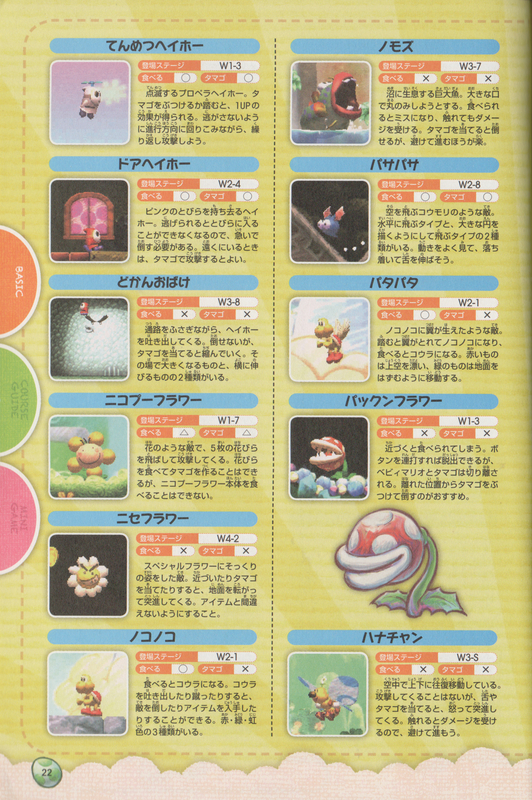 They appear once again in the game Yoshi Touch & Go, but they act slightly differently than before. Here, they hide in the grass, and when Yoshi approaches, they instantly zoom into the sky. 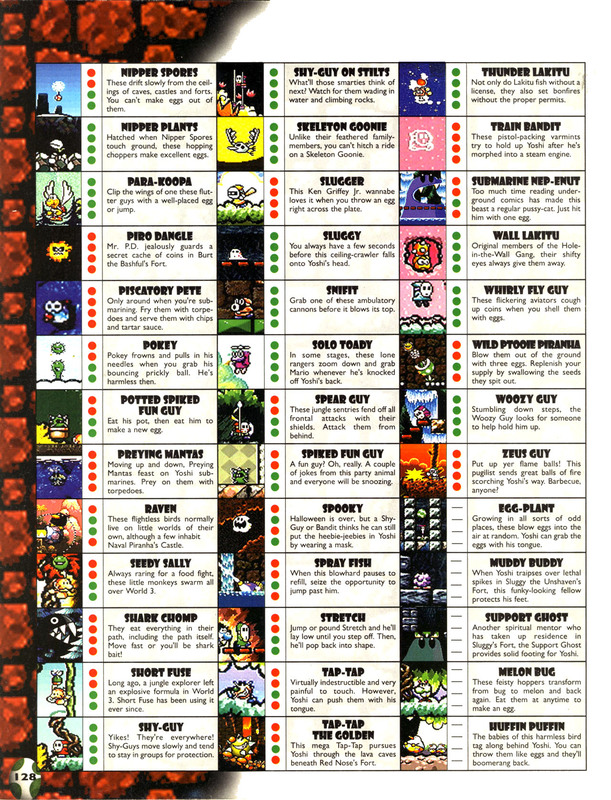 If the player defeats it before it flies away, they are awarded with four points. They reappear Yoshi's New Island, now colored white. One appears near the end of Cave of the Nipper Plants. When Light-blue Yoshi approaches it, the Whirly Fly Guy starts flying away in a straight line. Granted he has a full arsenal, the Yoshi can throw eggs to earn extra lives from hitting the enemy until he defeats it. This page was last edited on November 9, 2018, at 19:11.